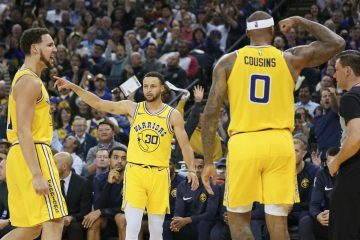 After starting their seven game road trip with a loss in Minnesota, the Golden State Warriors (26-32) will look to bounce back when they travel to play the Indiana Pacers (26-32) with the hopes of sweeping the season series. Monta Ellis was the star of the first meeting as he poured in 36 points and the game winner to break the heart of the Pacers. With the game being played on their home soil tonight, the Pacers will be seeking retribution against Keith Smart’s team. On offense, the Pacers average 99.7 points per game (13th in the NBA) on 44.1% field goal shooting (26th in the league). The Pacers’ biggest problem on offense is their inability to create shots at the rim. According to Hoopdata, this Indiana team only manufactures 22.0 shots at the rim per game (23rd in the association). The biggest reason for this quite frankly is because they are a jump shooting team. The Pacers do have some good scorers such as Danny Granger, Darren Collison, Tyler Hansbrough and Roy Hibbert; but these players are all more comfortable taking jump shots as opposed to taking the ball to the basket. Indeed, Hansbrough and Hibbert play in the frontcourt but seem to be at ease when facing up their defenders, sizing them up and then taking midrange shots. The same is true for Granger and Collison, who like to aggressively run pick and rolls to shoot midrange jumpers. This explains why the Pacers only average 37.7 points in the paint per game (24th in the NBA). Furthermore, Indy does not discriminate with their long range jump shots as evidenced by their 21.5 three point field goal attempts (fifth in the association) per game. The Pacers’ shots have to come from somewhere, and typically they came from either midrange or long range. Although the inability to consistently create interior baskets is problematic, the Pacers crash the boards to create second shot opportunities. Indeed, this Frank Vogel led team averages 11.2 offensive rebounds per game (12th in the league). However, these issues were close to non-existent against the Warriors porous defense when these teams faced on January 19th. The Pacers created 27 shots at the rim and went to the free throw line 29 times. Also, they converted 9-of-22 three point field goals on their way to scoring 108 points in Golden State. They ended up losing the game due to several factors, none of them more important than the other end of the court. On defense, Indiana surrenders 99.9 points per game (17th in the NBA) on 44.4% field goal shooting (sixth in the league). The Pacers success on defense hinges on their willingness to defend the paint. They routinely have players in position to help on the interior and try to keep all defenders as close to the basket as possible. In addition, their combination of Jeff Foster, Tyler Hansbrough and Roy Hibbert do a good job of pushing post players out of the paint and always try to keep them as far away from the low post as possible. As a result, the Pacers only allow 22.3 shots at the rim per game (seventh least in the NBA) and 37.7 points in the paint per game (fifth lowest in the league). 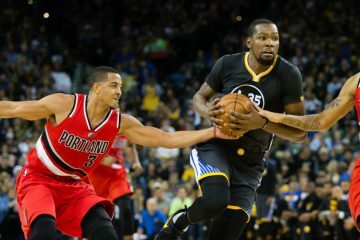 Further complicating matters for opposing offenses, even when players get all the way to the basket, they struggle to finish because of all the bodies that hang around the rim. Indeed, Indiana only allows a 61.1% conversion on shots directly at the basket (fifth best mark in the association). The one problem with the Pacers strategy mind you is that they are not quick enough to rotate back out to shooters when the ball manages to get inside. Consequently, opposing teams get a lot of open shots against the Pacers defense. According to Hoopdata, no team gives up more shots than Indiana from 16 to 23 feet. They allow 24.1 shots from that distance and also surrender 16.8 three point field goal attempts per game. We saw this in the first match up against the Warriors; the Pacers defense allowed the Dubs to go 15-for-38 on shots beyond 16 feet (three point field goal attempts included), which translates into a 39.5% conversion mark. Combine that with Golden State shooting 66.7% on shot attempts at the rim and well that’s a recipe for a team to put up points on the board. The Warriors put up 110 points on the Pacers on January 19th thanks in large part to their perimeter shooting but also because they forced 18 turnovers and got 34 points out of their transition game. Given the fact that this Indy squad averages 15.2 turnovers per game (26th in the NBA), it’s quite possible that we might see Golden State get out in the open floor again after forcing miscues. 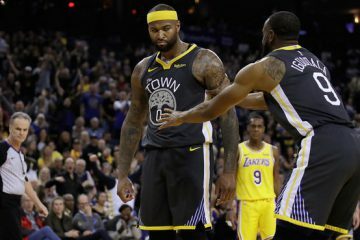 If the Dubs can replicate their shooting performance from the first match up, they might have a good shot at stealing one on the road. Indiana game notes: Roy Hibbert’s production consistently declined from October to January. However, the month of February saw him get back on track as he averaged 15.3 points, 7.4 rebounds and 1.8 blocks on 49.7% field goal shooting. Golden State game notes: Monta Ellis has been a raging inferno in his last two games against the Pacers with averages of 40.5 points, 5.0 rebounds, 3.5 assists and 3.5 steals on 56.4% field goal shooting.